Racism instead of Constitution for US citizens! In border states, the latest erosion of American citizens’ rights. Why give this guy any creed? Dump him! John Mulaney, Jim Carrey and Patton Oswalt were among celebrities who said they would not appear at the festival next month if Stephen K. Bannon remained its headliner. Superbug strains resistant to all known antibiotics discovered by Melbourne researchers – ABC News (Australian Broadcasting Corporation) Major Oops! Australian scientists discover a new strain of superbug capable of causing near untreatable infections, prompting renewed calls for hospitals to do more to fight antibiotic resistance. Many private groups reviewed by The Times contained content and behavior that appeared to violate Facebook rules, like those against hate speech. On behalf of the PLO Executive Committee, Dr. Hanan Ashrawi strongly condemned the so-called ‘Mayor’ of Jerusalem Nir Barkat’s pledge to expel UNRWA from occupied Jerusalem, close down all its institutions, including the schools, and to shut down its operations and programs. “Barkat’s pledge to expel UNRWA from occupied Jerusalem and shut down its services and programs is arrogant and outrageous,” Ashrawi said. “Israel is responsible for creating the Palestinian refugee problem, and it has no right to alter the mandate, duties and responsibilities of UNRWA as defined by the United Nations,” she continued. Established by UN General Assembly Resolution 302 (IV) of December 8, 1949, UNRWA provides essential services, assistance and opportunities for work, growth and development to 5.3 million Palestinian refugees in Occupied Palestine, Jordan, Lebanon, and Syria. It is also a safeguard for the Palestinian refugees’ legal and political rights. UNRWA was set up by the international community (including the United States) as a step towards the implementation of UN General Assembly Resolution 194 (III) which the Israeli government then had pledged to fulfill but reneged on its commitment. “Such a declaration is a direct affront to the international community and its laws and institutions, as well as a deliberate targeting of the Palestinian refugees and their rights,” she said. “Clearly, Barkat’s comments have been emboldened by the latest American decision to defund UNRWA and redefine the status of Palestinian refugees. These moves are part of the US administration’s plan to dismantle all permanent status issues at the core of which are occupied Jerusalem, the Palestinian refugees and the right of return, the two-state solution, 1967 borders, and the legality of the settlements, thereby destroying the chances of peace,” she added. “It is up to governments worldwide and all members of the international community to rise to the challenge and intervene immediately to ensure that such threats are not carried out and to maintain the integrity of the global legal and political system,” she concluded. Not debate – just an excuse to be a Nazi again! An asylum-seeker, thought to be from Afghanistan, has been given an 8-and-a-half-year prison sentence for the murder of a teenage German girl. The case has fueled debate on asylum policy in Germany. What is this reporter smoking? Youngstown was always just Youngstown and steel left in the 1960s because US protectionism/tariffs allowed owners to ignore innovations in Europe, Japan and Taiwan. US tariffs killed US Steel! Once the “Manhattan of the Midwest,” Youngstown has been hit hard by the decline of the US steel industry. But hope is returning and some say it’s because of their man in the White House. Lars Gesing reports from Ohio. 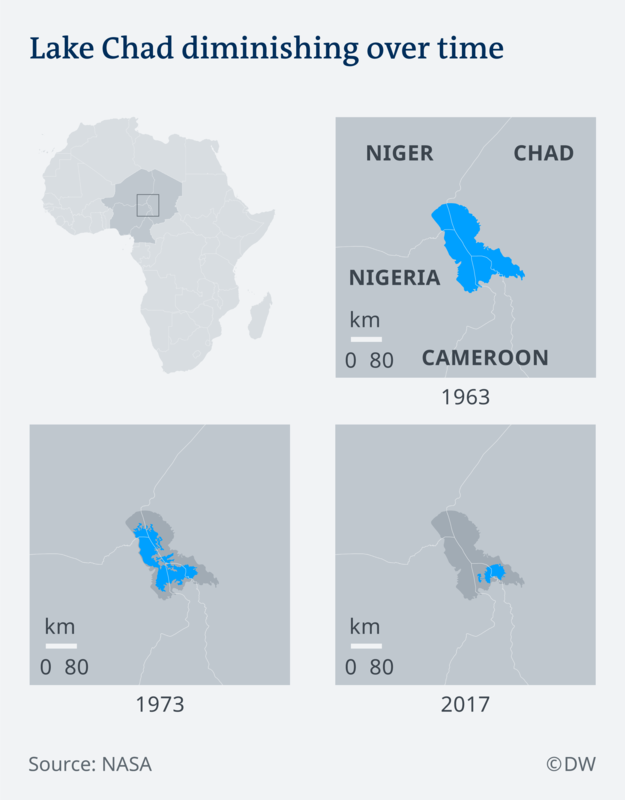 Conflict and climate change have plunged the Lake Chad region into one of the world’s worst humanitarian crises. An international conference in Berlin aims to raise more support for the millions of people in need of aid. Neo-Nazis must be dealt with harshly or we will see what happened in 1939 begin again! 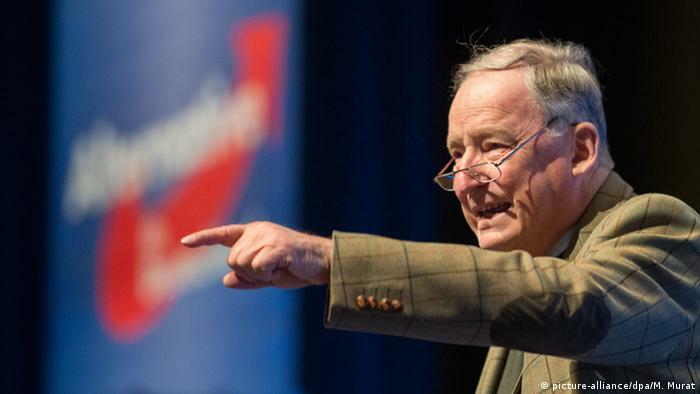 Two regional youth wings of the AfD are planning to close after being placed under observation. 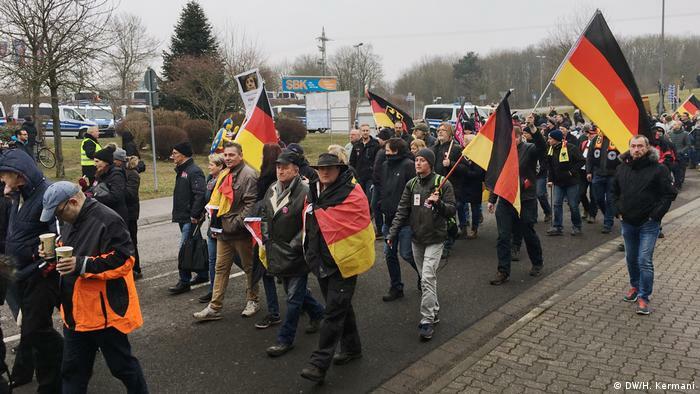 The nationalists decried the “abuse of power” after authorities cited concerns over extremist ties.